Energy meters are the most important part of any electrical system. The revenue of the utilities is dependent on the measurement of the energy consumed. Accurate measurement is essential. With the stress on energy conservation, it is more important now to account for the energy being consumed by each and every machine in the industry. Hence energy meters are being designed to become more and more intelligent. The Government of India has decided to install meters in all the consumer's premises. In view of this, it is very important to check the quality and reliability of energy meters so that their performance is satisfactory to enable accurate billing of electricity consumption. Earlier electro-mechanical meters having accuracy of class 1.0 and 2.0 were used but with the advancement of technology, static energy meters having accuracy class of 0.5 and 0.2 are available in the market. 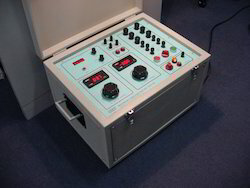 BAPL has been carrying out testing and calibration of energy meters since the last 15 years. 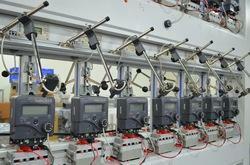 BAPL has complete type test facilities for testing energy meters as per Indian and International Standards. BAPL can also calibrate 0.05 class reference energy meters using 0.02 class reference energy meter. Complete type test facilities for testing energy meters and transducers as per Indian and International Standards. Packaging Details: Service available only against order. 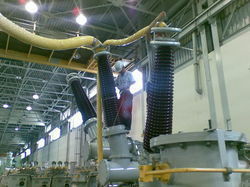 We conduct onsite calibration of Current and Potential Transformers. We calibrate relays and switchgear items also. We have a facility of 100000 volts and 1000 Ampere supply for calibration of CT and PTs. Looking for Calibration Of Electrical Instruments ?